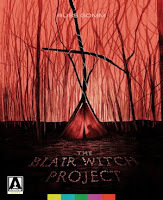 Realm of Horror - News and Blog: Arrow films release three brand new cult movie books. Arrow films release three brand new cult movie books. 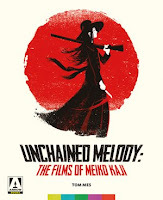 Following the success of their lavish debut book last year, Cult Cinema: An Arrow Video Companion, at the end of July Arrow Books are releasing three brand new film books: Asian cinema expert Tom Mes explores the extraordinary world of the queen of Japanese action cinema in Unchained Melody: The Films Of Meiko Kaji; Anime authority Andrew Osmond examines the the story behind the visionary 1995 classic Ghost In The Shell; and filmmaker and writer Russell Gomm delves into the background of one of the most influential and groundbreaking horror films of modern times in The Blair Witch Project. With specially commissioned cover artwork, and jam-packed with new interviews and illustrated with colour stills and promotional materials, the books are a genuinely exciting and highly collectable addition to any self-respecting film fan’s bookshelves. All three books will be available on July 31 2017. The first ever book devoted to the iconic Japanese actress, star of Lady Snowblood and Female Prisoner Scorpion, who defined a decade of cult cinema, creating an archetype of female strength that was equal parts ferocious and mysterious. Written by Japanese cinema expert, Tom Mes, one of the founders of Midnighteye.com, and author of books on cult filmmakers Takashi Miike and Shinya Tsukamoto, the book traces Kaji’s extraordinary career from teen model to critically-lauded and versatile actress for master directors including Kinji Fukasaku and Kon Ichikawa; as well as looking at a singing career that would introduce her to an international audience as the musical cornerstone to Quentin Tarantino's Kill Bill. 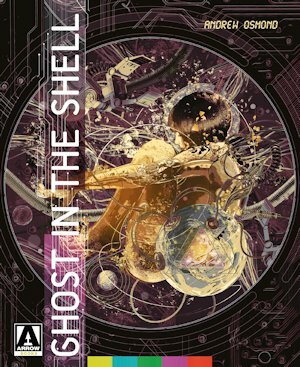 A visionary science fiction classic that was largely overlooked on release, Ghost In The Shell has grown in stature with the support of such Hollywood fans as James Cameron and the Wachowskis, and in 2017 was controversially remade as a live-action blockbuster, starring Scarlett Johansson. Anime authority Andrew Osmond traces the paths of the Japanese talents who came together to make the original 1995 film, including maverick director Mamoru Oshii, as well as the original manga creator, Masamune Shirow; explores the figure of Kusanagi, the film’s iconic cyborg heroine who's both a James Bond-style killer and a contemplative philosopher; and examines Ghost In The Shell’s debts to Blade Runner and Japan’s intriguing tradition of robot fantasies. 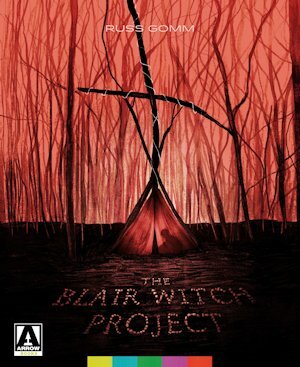 In the final months of 1999, the horror film landscape was changed forever by The Blair Witch Project, a film that rewrote the rule book in terms of film production, film marketing and film distribution. Film-maker Russ Gomm takes a look at the phenomena through the eyes of a fan who was captivated by the unusual promotional strategy that led up to the original release, and looks at the fascinating production history of the film from its low budget origins through to its sensational global box office success. Including interviews with fellow fans, filmmakers and other industry professionals, the book also examines the lasting effect that this seminal film had on the film industry and the horror genre itself.